We are listed at the apex as a 100% Polyester Yarn Dyed Woven Fabric Manufacturer and Supplier in India. 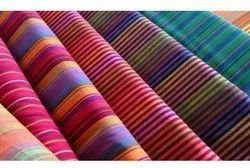 We are known for offering premium 100% Polyester Yarn Dyed Woven Fabric, which is used for making a variety of garments. The 100% Polyester Yarn Dyed Woven Fabric is finely woven to improve fabric strength and is made available in various specifications for the clients. Poplin, Drill, Denim, Dobbies, Flunnel, Suitings, Satin, Voile, Canvas, Jacquards, Yarn dyed check & Stripes and Corduroy. We offer the fabric from varities of fibers such as S Glass Fiber, Kevlar, Carbonn Fiber, etc. 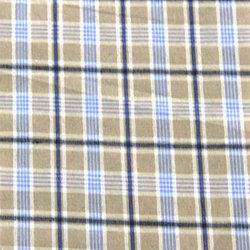 The composite Hybrid Woven Fabric are made using multiple fiber in the state of art facilities. This Woven Chanderi Fabric has contrasting weaving pattern displaying unique shapes.